Recent elections in Russia for the State Duma (Parliament) on December 19, 1999 are an excellent example various political campaign technologies and dirty tricks. These political elections also quite vividly show which techniques work on Russian new political arena and are excepted by Russian electorate. Many winners (political parties) in the previous political elections (1995 elections for the State Duma) lost these December 1999 elections, because they accepted a wrong strategy for their political campaign. On the other hand, many new comers to the Russian political scene had unbelievable support from Russian voters, because they advertised the right political image of them and appealed to the new political expectations of Russian voters. We have picked one example of a successful political campaign during December Elections to the Russian Parliament (State Duma) for our analysis of its political techniques, because we believe that the best way to learn about political advertising is to learn by example. The political force we have chosen is Russian Political Movement “Unity” (Edinstvo), unofficially also known as "Bear" ("Medved"). It had a tremendous breakthrough on recent elections for the Russian Parliament, almost 25% of all votes - not bad for a political force that came into existence just 3 months before the Russian elections date. It became the only real competitor of the Russian Communist Party (just 0.4% behind it). What caused such a success, that is what we want to find out. This site is still in the process of development and much of the information herein is incomplete and a matter for further updating. Interregional movement “Unity” ("Edinstvo") is a right-wing pro government political movement created on the eve of the 1999 elections in Russia. This political force was initiated by a statement of 39 Russian local governors (later called “Statement of 39”) who have expressed their dissatisfaction with the way Russian elections for the Parliament (State Duma) are being held and have announced creation of their own political party. On September 24, 1999 Minister for State Emergencies of the Russian Federation, Sergey Shoigu, headed the new block, which was named Interregional Political Movement Movement “Unity” ("Edinstvo") unofficially called “Medved” ("Bear"). The founders meeting of Unity took place on October 3, 1999 and it was registered for parliamentary elections on October 15th. Besides Shoigu, Minister of State Emergencies, other leaders of Unity are Alexander Karelin, Olympic wrestling champion, and Alexander Gurov, high ranking police officer. The leader of Unity (Edinstvo) is Sergey Shoigu. 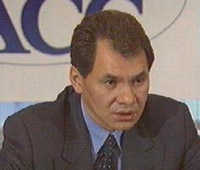 He is the most well known on the Russian political arena. Russia is in a state of a constant crisis, and Sergey Shoigu, as Minister For State Emergencies, is always on crisis sites. He is known as a person of actions, not words. He always solves problems, which are so many in Russian Federation. Other well known person in Unity (Edinstvo) is Alexander Karelin - a sports figurehead, he had never lost a fight in his life, but had many injuries. He is definitely not a political figure, but Russian voters (electorate) are very much in favor of him as he is a Russian national hero and an object of pride. Third leader of Unity is Alexander Gurov, a high rank police officer, known for his fighting against corruption and crime. Very organized army person. Earned respect among Russian voters, because of a series of books revealing corruption in Russia. All three leaders of Unity (Edinstvo) are administrators, excellent doers; but they are not professional politicians and lack political strategic thinking. Other members of Unity (Edinstvo) are also non politicians, there are many Russian sports and pop stars, some Russian local governors and state officials. The choice of leaders for the movement seemed a very strange one. None of them is an established political figure with . None of them has any public or business background, they all are government officials never before involved in political battles. Rumors are that this was the only political force in Russia which lacks candidates to fill in parliament positions. Though 32 local Russian governors expressed their support for Unity (Edinstvo), none of them expressed desire to become, many of them are members of other competing political movements participating in parliamentary elections in Russia. The members of the movement had no experience in holding political campaigns and lacked the so called political “charisma” in its usual sense. Their official election team was recruited mostly from within the Ministry of State Emergencies and was considered by other movements amateur and unprepared for the elections . Up to the very election date many analysists stressed that Unity will pass the elections due to the government support, but will not be a big success when it comes to seats in Russian Parliament (State Duma). Though some voices did predict the future right. From the very start Unity (Edinstvo) was created as a right-wing pro government political movement backed up by the new Russian Prime Minister (6th Prime Minister in a row), Vladimir Putin who has openly expressed his support of Unity (Edinstvo). Due to such backup, Unity had no financial problems and no conflicts with local Russian authorities. Also, as most mass media in Russia is owned by the government, the movement had no problems with coverage of their political activities. Most post electorate analysis explains Unity's success as showing great popularity of Putin among Russian electorate and depict its actions as a training before election of the Russian President which will take place in June 2000 and Putin being a most prominent candidate. Many call Unity (Edinstvo) a virtual political force, created just as a backup for the Russian government in the Russian Parliament (State Duma). It is a product of political technologies which is also strongly financed and supported by very powerful sources in the Russian government. Members of the movement are not politicians, but they are people who are well known to the public (sportsmen Karelin, trouble-solver Shoigu). It is easy to make Russian voters, who are sick of politics and dirty political campaigns techniques, to vote for this figureheads. Though Unity's leaders insist that they do not use any election technologies, and from the first sight, that looks true, but that may be just a sign of a very good political technology. This site is created by Laikra®, if you have any feedback, or comments, or claims regarding any material presented on this site, please contact us and we will take all necessary steps to reply to you or settle any misunderstanding. Please mind that all opinions presented on this page are subjective and might not hold true. We have no intent to insult or asperse anyone. This is an independent research project, we are not in any way connected to Unity (Edinstvo) Movement or other resources. It just happened to come across our attention as a good example of political campaigning.